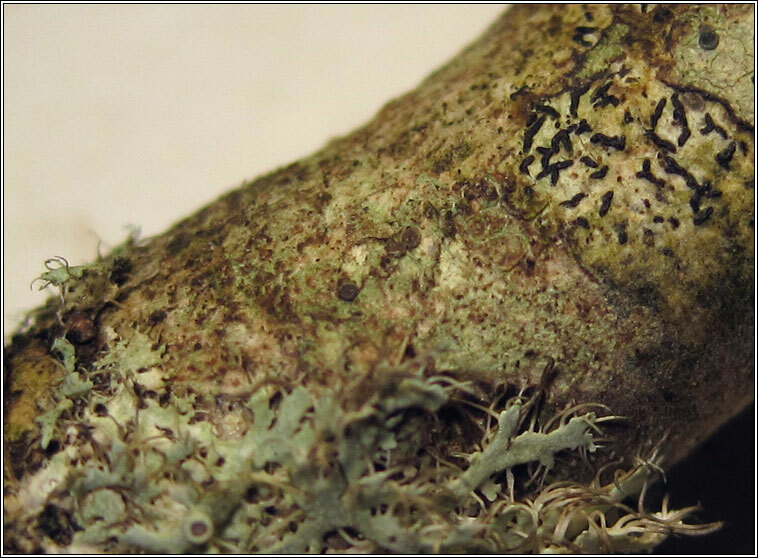 Thin light grey or grey-green thallus with usually abundant, very small (<0.5mm), pinkish or brown apothecia. Thin grey thalline margin is excluded with age as discs become convex. 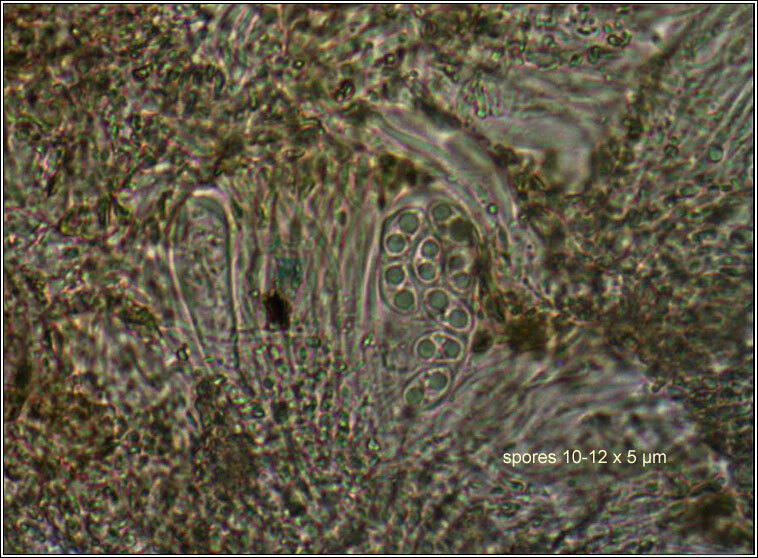 Asci 8-16 spored, spores usually 1-septate, 10-15 x 4-5 µm, often bent when mature. Micro photo below. Chemical reactions negative. Found on twigs and rough, nutrient-rich bark of Elder, Ash and Acers, often in Xanthorion communities. 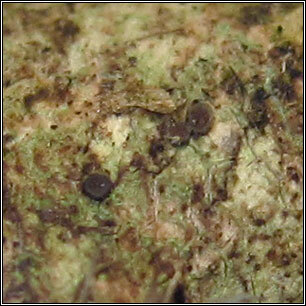 Similar: Lecania naegelii, spores longer, mainly 3-septate.